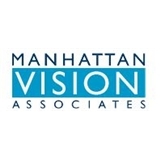 Manhattan Vision Associates (New York) - Book Appointment Online! ***ATTENTION: Please remember to bring your glasses, contact lens prescription or the boxes they come in, and insurance card with you to your appointment*** Our mission at Manhattan Vision Associates is to provide our patients with the best eye care in a friendly environment. To achieve this, we utilize cutting-edge technology that is constantly updated and bring clinical research understandings and principles to everyday practice. By incorporating the Institute's clinical research findings with the latest in instrumentation and technology, MVA is able to remain at the forefront among optometry practices. If you're a new patient, please bring your contact lens perscription with you! Along with your insurance card! Dr. Sylvester was very professional, courteous and helpful. Quick service, staff members went over all the benefits and clearly described which options were covered by my insurance. Dr Choi was kind, thorough, and efficient. Will be coming back again! She's great, made me feel at ease and comfortable to ask questions. A bit more waiting than would be ideal, but an excellent doctor who makes the wait worth it!